It’s been wonderful to see several reviewers take up the challenge presented by Captivity, the “monumental” (Wall Street Journal), “profound” (Tablet), “thoroughly impressive literary feat (Publishers Weekly, starred review) by the Hungarian master György Spiró—his first novel translated into English. See below for more responses to the book. "With the novel Captivity, Spiró proves that he is well-versed in both historical and human knowledge. It appears that in our times, it is playfulness that is expected of literary works, rather than the portrayal of realistic questions and conflicts. As if the two, playfulness and seriousness were inconsistent with each other! On the contrary (at least for me) playfulness begins with seriousness. Literature is a serious game. So is Spiró’s novel." 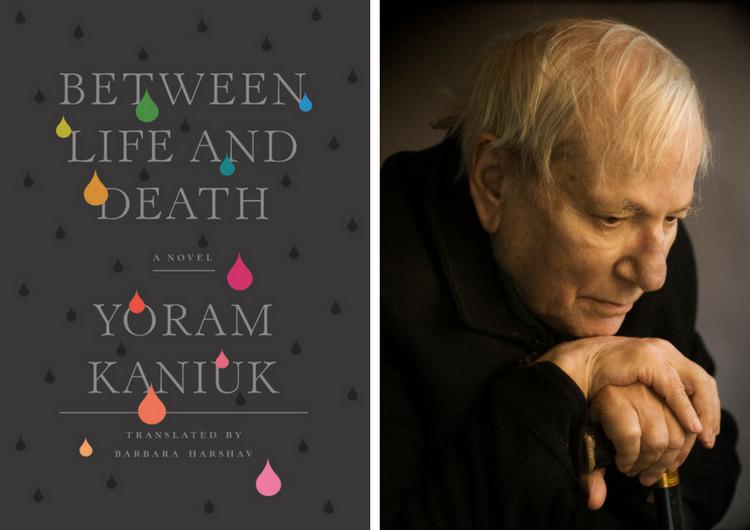 The final literary testament of “one of the most innovative, brilliant novelists in the Western World” (New York Times), Between Life and Death is a startlingly brave, funny, poetic, and moving autobiographical novel about the four months famed Israeli writer Yoram Kaniuk spent in a coma near the end of his life. Called “able” (Jewish Book Council), “excellent” (The Guardian), and “faithful, lyrical” (Jewish Telegraphic Agency), Barbara Harshav's translation was named a finalist for the PEN Translation Prize. Read on for more of what people are saying about Between Life and Death. The final literary testament of “one of Israel’s greatest and least celebrated writers” (Nicole Krauss), Between Life and Death is a startlingly brave, funny, poetic, and moving autobiographical novel about the four months Yoram Kaniuk spent in a coma near the end of his life.